Edwardian diamond & pearl oval brooch. Product code: 1048 Categories: Sold Items, Sold Jewellery. 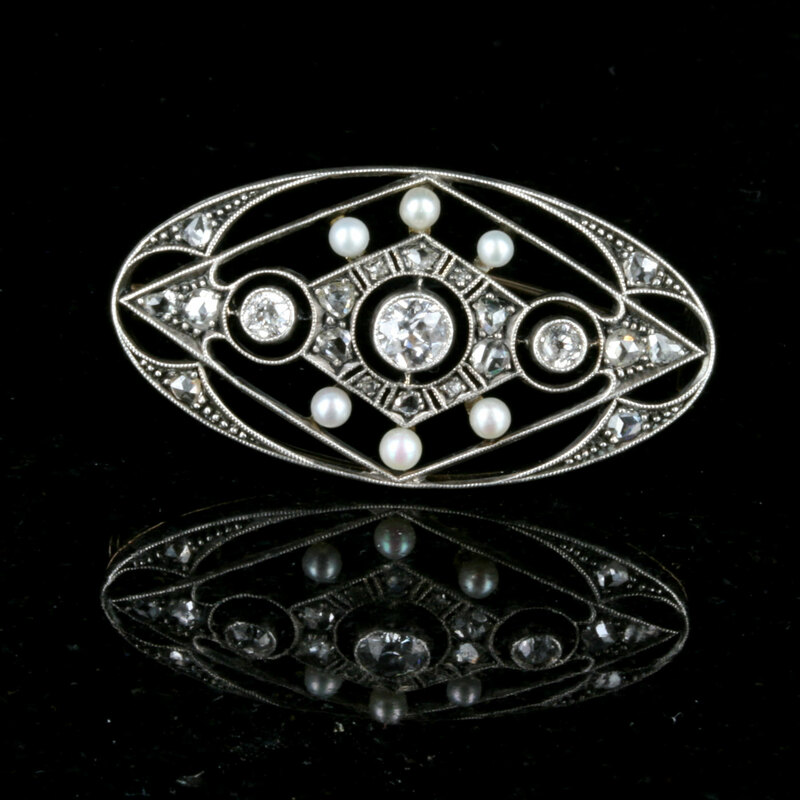 This is such a perfect antique diamond and pearl brooch that will look so elegant against almost any colour clothing due to its fantastic geometric design and open pierce work. Made in 18ct yellow gold and platinum, this brooch measures 3.5cm x 1.9cm, and is set with 6 pearls and 20 diamonds with a total diamond weight of 0.64cts. This brooch will look beautiful during the day and sensational at night and will make any woman’s jacket or lapel just light up.